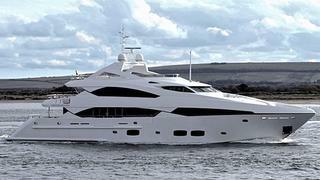 That’s 24 sales so far in April as Harry Bristow-Holmes, Brokerage Director at Sunseeker London, says they've closed on the 37m motor yacht Beluga in an in-house deal with Gary Cleaverly finding the buyer. Built by Sunseeker in 2010, Beluga offers accommodation for up to 14 guests in seven en-suite staterooms, and seven crew. Featuring a full beam master suite on the main deck level with walk-in wardrobe, separate head, bath and large shower, she also has two double staterooms and four twin cabins. Twin 4680hp MTU engines mean she is capable of a top speed of 30 knots.